Average speed cameras will be introduced on the A90 at Stonehaven later this week. The contractor for the AWPR/B-T project has said the cameras are to “enhance safety for construction workers and road users”. The cameras are expected to be installed later this week and are expected to stay in place until the works are complete and the reduced temporary speed limit is removed from this section of the A90. A temporary speed restriction of 50mph is in place on the A90 at this location. Road users should follow all signage in place. A Transport Scotland spokesperson said: “The works at Stonehaven will substantially increase over the coming weeks. 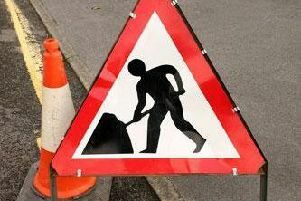 To enhance the safety of the rising number of road workers on the A90 at Stonehaven, many of whom will be working in close proximity to road users in this area, it is necessary to use additional safety measures on this section of road. The use of average speed cameras will also protect road users, where construction operations adjacent to or beneath the road are not always visible to them. Aberdeen Roads Limited has been working closely with Transport Scotland, Aberdeenshire Council, Police Scotland and the North Safety Camera Unit over the use of average speed cameras in this area.